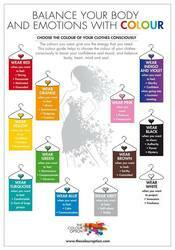 Discover which colors to use to enhance and aide in healing of a variety of ailments in the body. A chapter of protocols will help to take the quesswork out of what color or colors to use in a session. NOTE: To complete the course you will need to purchase, or have on hand, for yourself the 8pc. 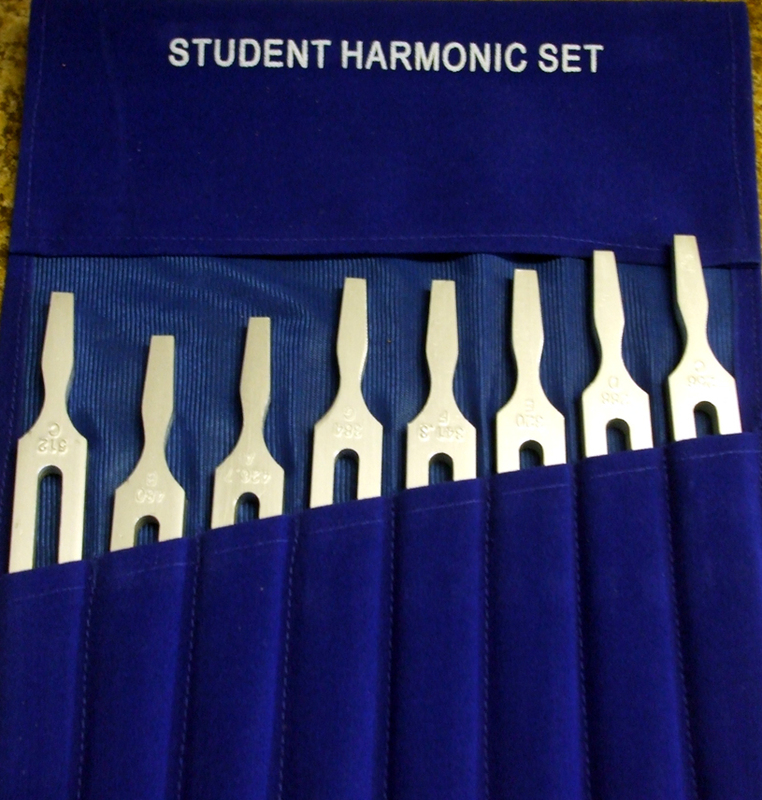 basic set of Harmonic tuning forks, a white sheet and 11 pieces of different colored fabric. These are NOT included in the price listed below. Cost of the certification (without products) is only $99 plus $13.99 postage inside of the United States. If you would like the KIT which includes the book, the forks (8pc. economy beginner Harmonic set), a black hockey puck, and a 'How To' CD, and certificate, the cost is $149 plus $13.99 postage inside of the United States. Below is a fun chart of what color to wear and why. This was shared on Facebook and I am sharing it now with you. Enjoy!